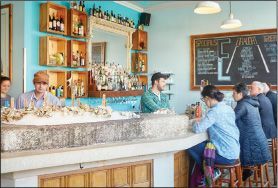 “New England has never been a more varied or exciting culinary destination,” and Portland, Maine, is doing more than its share to make that so, said Bill Addison and Anestes Fotiades in Eater.com. The gateway city to Maine’s midcoast “punches above its weight at every turn,” so of course it has a must-stop for culinary adventurers no matter the time of day. All three of the spots below just made Eater’s list of New England’s best restaurants.